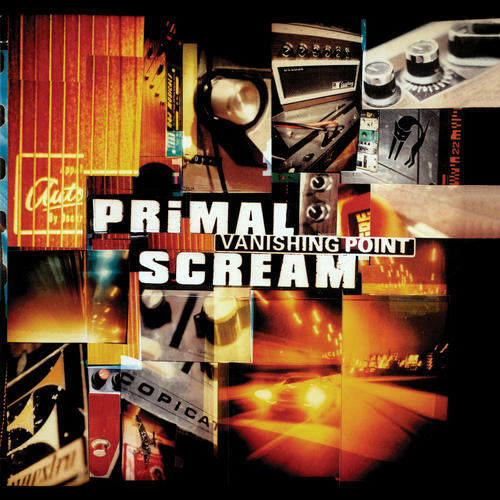 (2-LP set) Their fifth album originally released in 1997 and named after and inspired by the 1971 Richard C. Sarafian cult film of the same title. The songs were meant to be an alternative soundtrack to that movie and as lead singer Bobby Gillespie said it "the music in the film is hippy music and it's always been a favourite of the band, we love the air of paranoia and speed-freak righteousness: pure underground cinema, rammed with claustrophobia." The band draws inspiration from dub and Can, ambient music, Motörhead, and The Stooges to create a dark mix of drum and bass, dance, and rock close to their magnum opus Screamadelica. 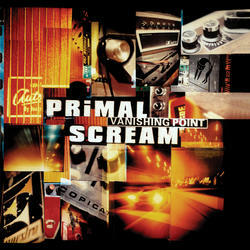 Vanishing Point was the first album to feature bass player Gary 'Mani' Mounfield (formerly of The Stone Roses) while guests include Augustus Pablo, Glen Matlock, and The Memphis Horns. A record that shows how successfully an act can reinvent itself yet stay true to what it is best at. "It's not when you're gonna stop, but who is gonna stop you" says the spoken intro of the album's first single "Kowalski" and that's a thought that resonates across much of the album's darkly slow-grinding songs and sounds.